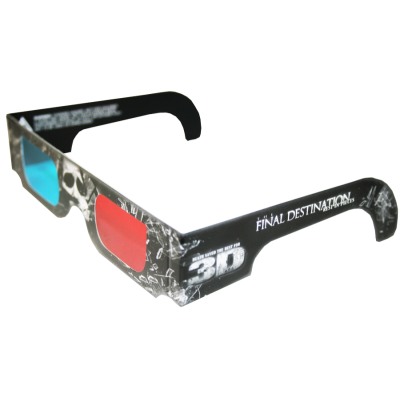 Final Destination - Over 10,000,000 Anaglyph glasses were manufactured for the release of Final Destination 3D. Glasses were bagged in 2 packs as well as 4 packs. 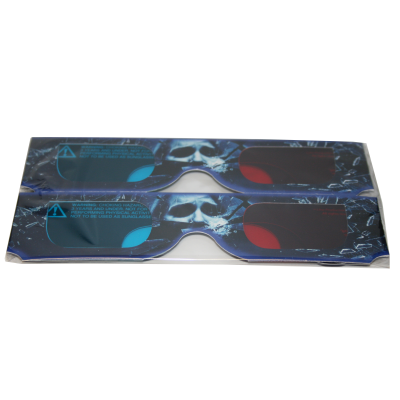 Final Destination Over 10,000,000 Anaglyph glasses were manufactured for the release of Final Destination 3D. Glasses were bagged in 2 packs as well as 4 packs.